Justin Christenson is a web Developer in Vancouver, WA. I'm a web developer, open source enthusiast and Jedi Apprentice living in Vancouver, WA. I started my career as a front end developer while earning a degree in Web Design and Interactive Media in 2011. After working as a front end developer for a while, I started to venture into server side concepts and soon realized that I have a passion for working on all sides of the stack. At this point, I started picking up back end projects and learning the LAMP stack. 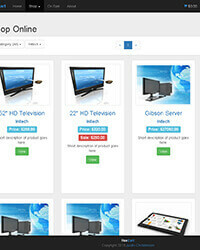 I currently work as a web developer creating and maintaining dynamic, data driven web applications. 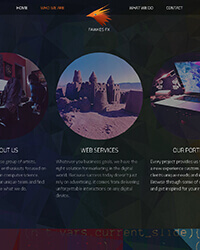 Fawkes FX is a creative firm located in Portland, OR that I helped establish. 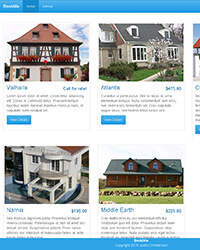 We required a public website to showcase our services. 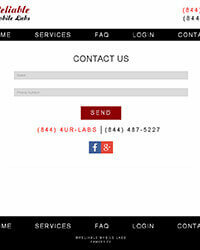 The website also reuired a private administration interface with transactional email integration. The front end team at FawkesFX designed and built the public website, which I merged into a Laravel 4 application. I then designed and developed the administration interface featuring several custom modules including a user management module, an SEO module and a leads management module. Reliable Mobile Labs is a medical lab testing service with locations in several states. The client required a website to showcase their services, generate leads and allow physicians to log into a portal within the website. 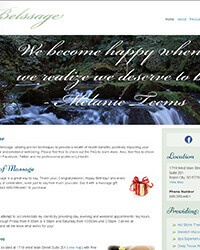 Belssage is a massage therapy provider in Rapid City, SD. This project required a contact form for appointment scheduling, publishing of a quarterly newsletter, easy page updates and a list & description of provided services. bookMe is a personal project that I built in my free time using PHP5 and MySQL. The goal of this project was to create a fully functional property booking application from scratch using MVC architecture. The public site features property listings, a property availability module and a reservation booking module. The administrative interface features a user management module, a reservation management module and a property management module. The property management module comes complete with a rich text editor and image uploader. fooCart is a personal project that I built in my free time using Laravel 5. The primary goal was to develop an e-commerce application with shopping cart, inventory management and payment processing integration. nearMe is a personal project that I built in my free time. 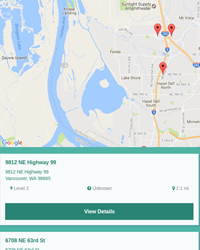 The goal of this project is to offer an easy way for EV operators and passengers to search for EV charging stations from their mobile device. I wrote and open sourced a wrapper for the Open Charge Map API as part of this project, called . 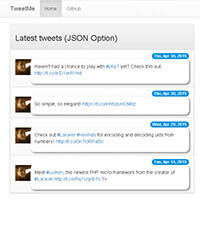 TweetMe is a Twitter feed application that I developed in my free time. The primary goal of this project was to create an application to pull in a controllable number of statuses from a Twitter user's public timeline. This application retrieves the statuses via the Twitter REST API, then caches the JSON responses to a flat file 15 minutes to avoid the Twitter API rate limits. Next, TweetMe repackages the cached JSON response to filter out unneeded properties and then outputs the repackaged timeline in either JSON or formatted HTML. Copyright 2019 © Justin Christenson.